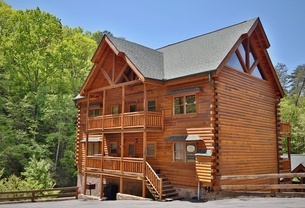 If you have been searching for the perfect cabin for your Smoky Mountain Getaway, then Hill Top Hideaway is the perfect cabin for you! 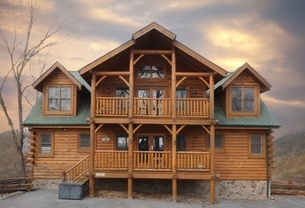 This luxurious 5 bedroom cabin sleeps up to 12 of your closest family and friends. Try your luck at a friendly game of pool. Watch a movie with the family in the Home Theater. Kick back and relax in the hot tub on the deck while you watch TV outside also. The gas fireplace is perfect to cuddle up in front of on those cold winter nights. Head over Hills is your escape and home away from home. Convenience is definitely something you'll appreciate about this unique property. 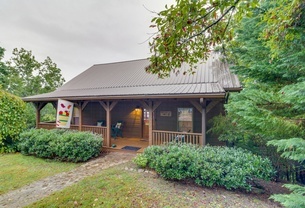 Located literally across the street from Dollywood and Splash Country this park like setting has all the conveniences without all the hassle of heavy traffic and congestion. “Smoky Mountain Cinema” is packed with luxury amenities too so be prepared to have so much fun on this vacation that you may not ever want to leave! Back Stroke offers all of the convenience of home while also being in the heart of the Great Smoky Mountains National Park. Relax in your very own private hot tub or nestle up next to the fireplace and watch a movie on the large flat screen. 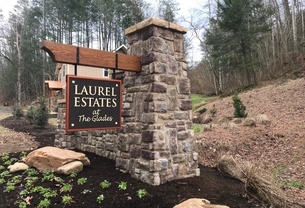 Aqua Paradise offers all of the convenience of home while also being in the heart of the Great Smoky Mountains National Park. Relax in your very own private Jacuzzi tub or nestle up next to the double sided fireplace on the deck. 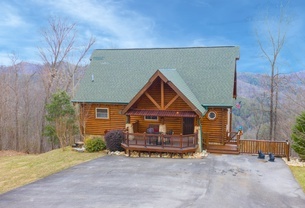 Discover the beauty and excitement of Pigeon Forge and Gatlinburg from Kickin’ Back Jack a 2900 square foot vacation cabin with amazing views. The overwhelming beauty of the Great Smoky Mountains is on full display at Psalm 2705. 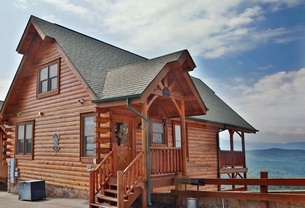 The perfect 3 bedroom, luxury cabin rental to make your next family getaway one that will not be forgotten. This cabin can comfortably accommodate 10 guests. At “Rising Eagle Lodge” you will rise like an eagle and soar through the days in fun and luxury! 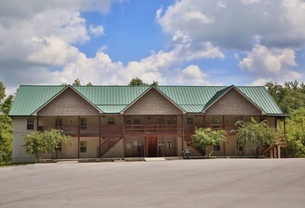 Bear-A-Dise in the Smokies is located inside the incredible Preserve Resort in Wears Valley. A fenced in outside patio with table and chairs will give you another place to sit and relax or grill out while enjoying 360 degree views of The Smoky Mountains and Bluff Mountains. A great place to sit while kids play outside on a large FLAT yard. Are you in need of some relaxation? If so this cabin offers exactly what you need to make sure you achieve an Estate of Relaxation.